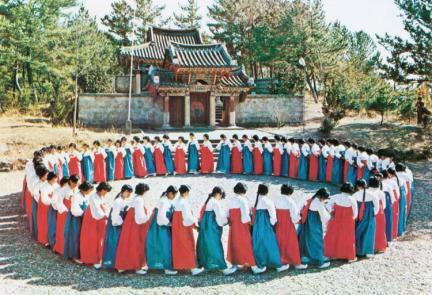 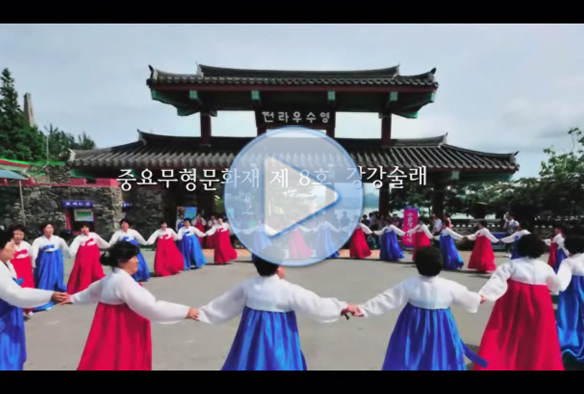 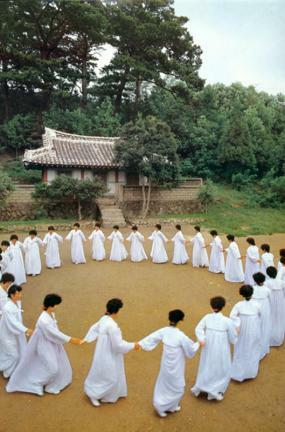 A traditional performance of song and dance by women, Ganggangsullae was first performed by local women around the coastal areas of Jeollanam-do on moonlit nights around the Chuseok (Harvest Moon Festival) on the 15th day of the 8th lunar month. 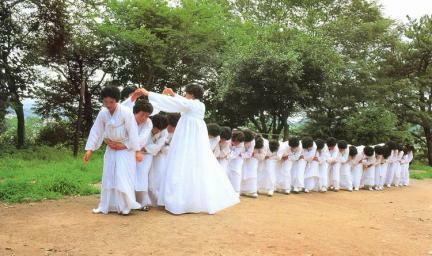 Some believe that the dance was first danced as part of a military tactic designed by Korea’s great naval hero, Admiral Yi Sun-sin (1545-1598), to surprise the Japanese naval forces invading the southwestern coast of the Korean Peninsula during the late 16th century and mislead them into believing that he had strong enough forces to repel them. 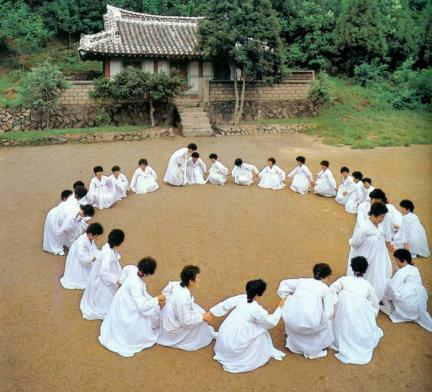 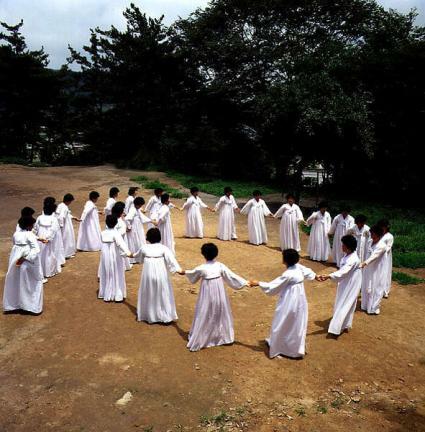 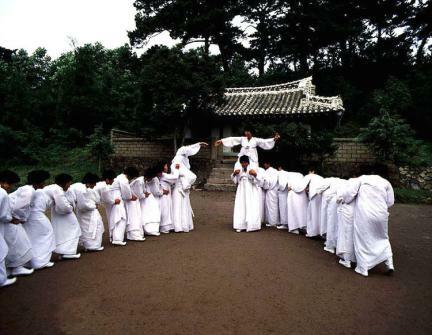 Meanwhile, some argue that it can be traced as far back as prehistoric times when early settlers on the Korean Peninsula had already established a tradition of singing and dancing on moonlit nights. 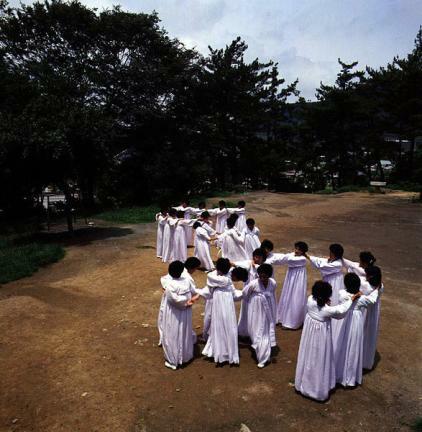 Whichever version is the more correct explanation, the dance continued to develop and become more sophisticated, and eventually became associated with other folk games such as “bracken picking,” “herring tying,” “tile treading,” “tail picking,” “straw mat rolling,” “gatekeeping”, and “needle threading,” as well as “tortoise play,” in which one dancer moves to the center of a circle with others following her. 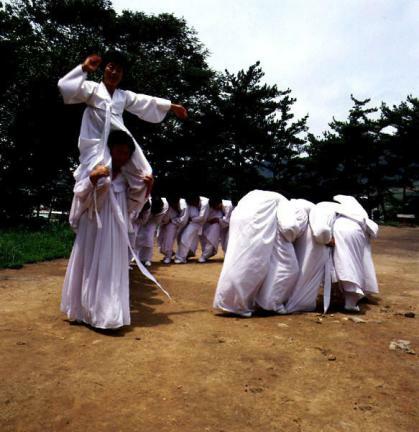 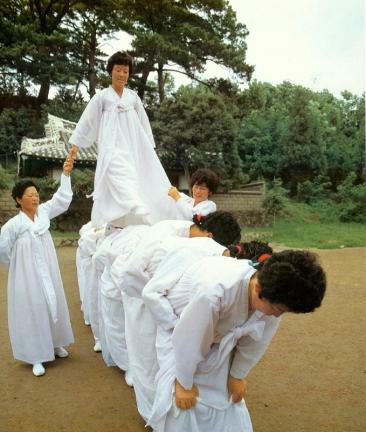 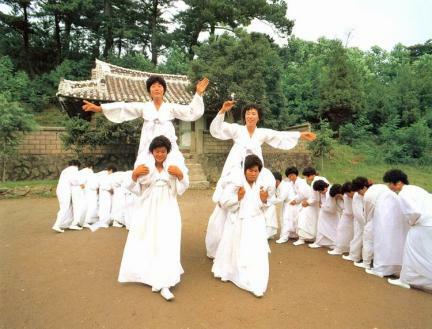 The dance consists of a range of exciting movements and formations and is preserved in Haenam and Jindo on the southwestern coast of Korea. 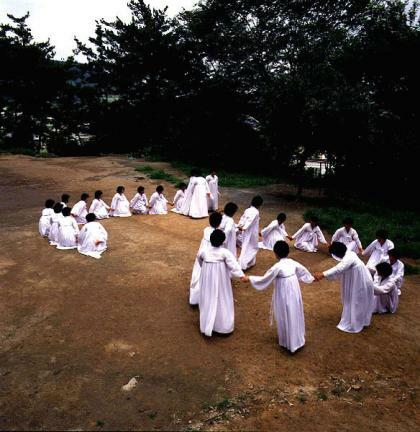 [정은표] 09편 강강술래, 세계가 원(圓)하다!